Established in 2002, 4 factories in Shenzhen and Ganzhou respectively, total 2150 employees. Sun&Lynn is one of the leader of PCB manufacturer in China, offering one-stop PCB solution from PCB design to manufacturing. Markets we serve include telecommunication and networking , industrial, automotive, energy , security , healthcare etc. Main product in Shenzhen factory : conventional PCB, Copper base PCB, Aluminum Base PCB, Ceramic PCB, High-Frequency PCB, Multilayer PCB and etc. 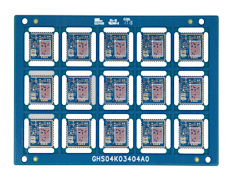 Main product in Ganzhou factory I: HDI, Conventional PCB. 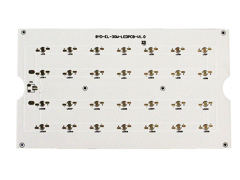 Main product in Ganzhou facotry II: High volume conventional PCB. 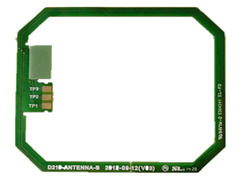 Main product in Ganzhou factory III: FPC, R-FPC, SMT. Production capacity in Shenzhen factory: 600,000sq.ft/month. Production capacity in Ganzhou factory I: 600,000sq.ft/month. Production capacity in Ganzhou factory I: 2,500,000sq.ft/month. Production capacity in Ganzhou factory III: 500,000sq.ft/month. Sun&Lynn reserves 20% buffer capacity for new customers and new business. 2018 sale revenue: US$275M , keep 10% sales revenue increasing YOY since 2004 . 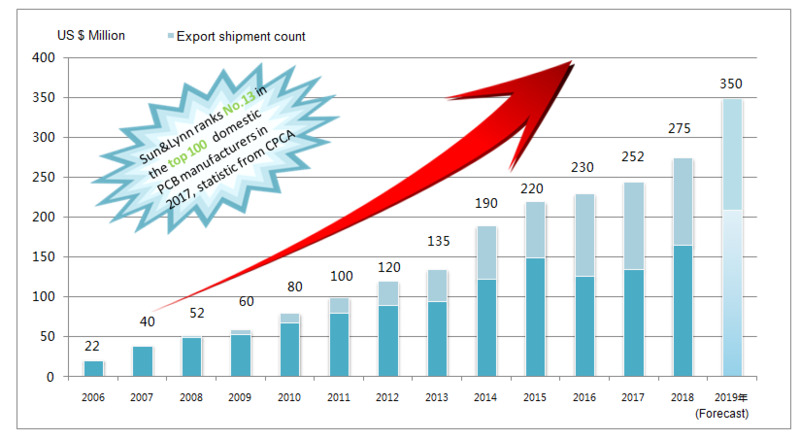 Sun&Lynn ranked as No.13 in top 100 CPCA PCB manufacturers. Sun&Lynn has established a global sales network and serves over 300 customers in 20 countries in world-wide, including GE, Philips, Commscope, Hitachi, Amphenol, Bourns, Omron, BYD, Honeywell, Hikvision, Emerson, ABB, RRC Solutions, Jabil, Sanmina-SCI, Plexus. 400 engineers with over 13 years of experience in PCB design and manufacturing, we are holding 82 patents of PCB technology. 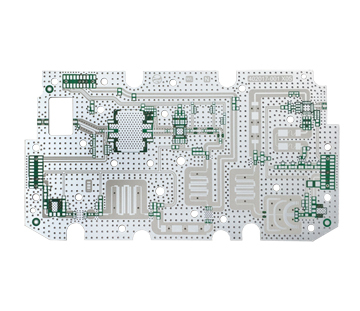 We spend 5% of sales revenue on R&D every year to take the lead of PCB technology and offer customized end-to-end solution from PCB design to manufacturing. Certified in UL,ISO9000, ISO14000, OHSAS18001, EICC, IATF16949, ISO13485, QC080000, AEO advanced certificate. etc. Sun&Lynn takes the environment protection as her responsibility. Adhering to environment policy of "abiding by legislations, preventing pollution, saving energy, continuously improving", Sun&Lynn has invested over $10million on waste water recycling system , the recycled water is national standard GB21900-2008 complaint. S&L respects talents and provide a home style working and living environment for employee , creates more opportunities of skill training and education to help employee improve technical skill and career path growth, we have built a culture as company and employee work together, growth together to achieve the objectives of company as well as customers win-win in business.